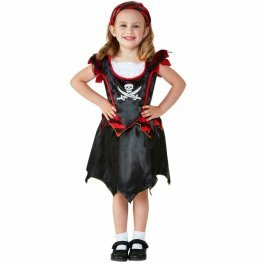 Pirate Skull And Crossbones Girl Fancy Dress Costume. 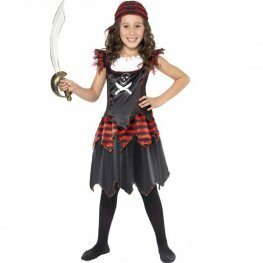 This Costume Includes A Red, Black And White Dress And A Red And Black Striped Headscarf. 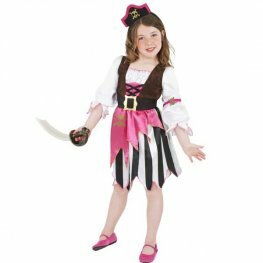 Pink Pirate Girl Fancy Dress Costume. This Costume Includes A Dress And Headband. 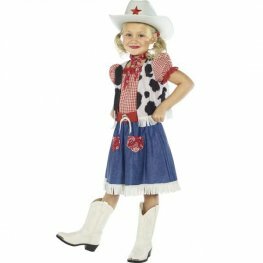 Cowgirl Sweetie Fancy Dress Costume. This Costume Includes A Dress, Vest, Scarf, Belt And Hat. Native American Inspired Girl's Fancy Dress Costume. This Indian Costumes Includes Brown Fringed Dress And Feather Headband. Multi Coloured Poncho Perfect For Boys And Girls. 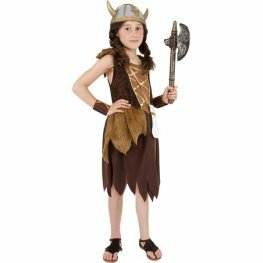 Viking Girl Fancy Dress Costume. This Costume Includes A Brown Dress And Wristcuffs. 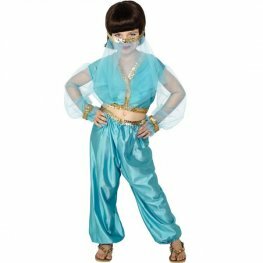 Arabian Princess Fancy Dress Costume. This Costume Includes A Blue With Gold Trim Trousers, Top And Headpiece. 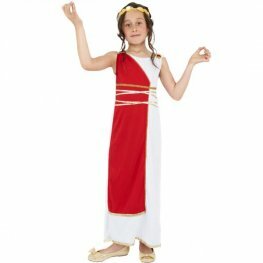 Grecian Girl Fancy Dress Costume. This Costume Includes A Red And White Robe With Gold Detail And Headpiece. 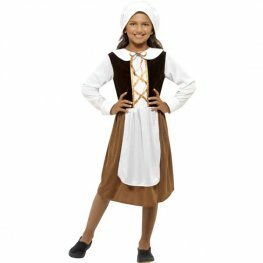 Tudor Girl Fancy Dress Costume. This Costume Includes Brown Dress With Hat And Mock Apron. Girls Victorian Kit. This Kit Includes White Apron And Mop Cap. 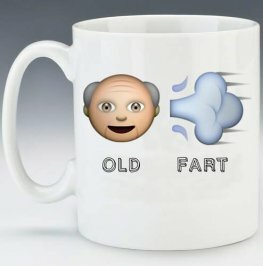 Medium Size Only Age 7-9. 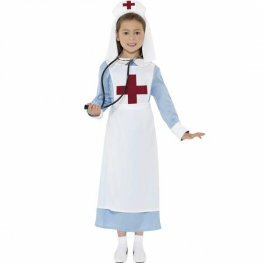 WW1 Girls Nurse Fancy Dress Costume. This Costume Includes Blue Dress With Mock Apron And Headpiece.